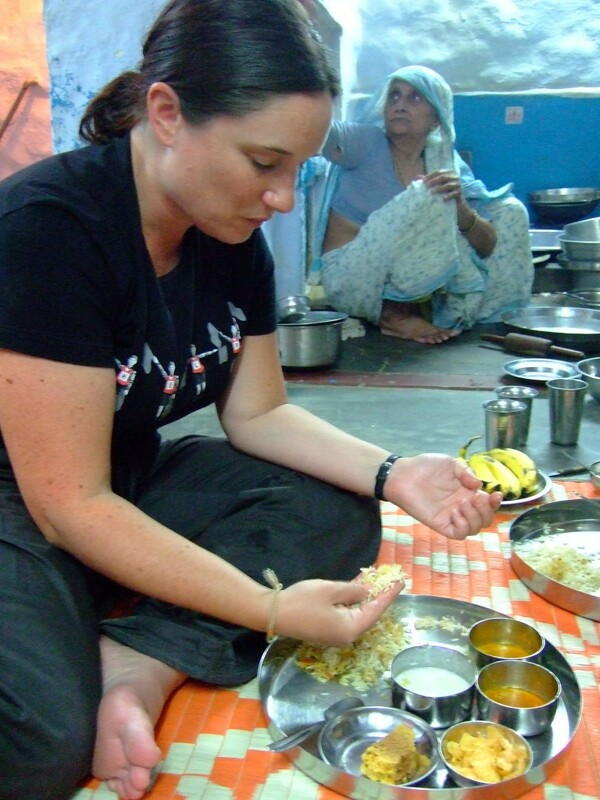 In 2008 we visited Vya’s Meal Service in Jaisalmer, in the province of Rajisthan in India. 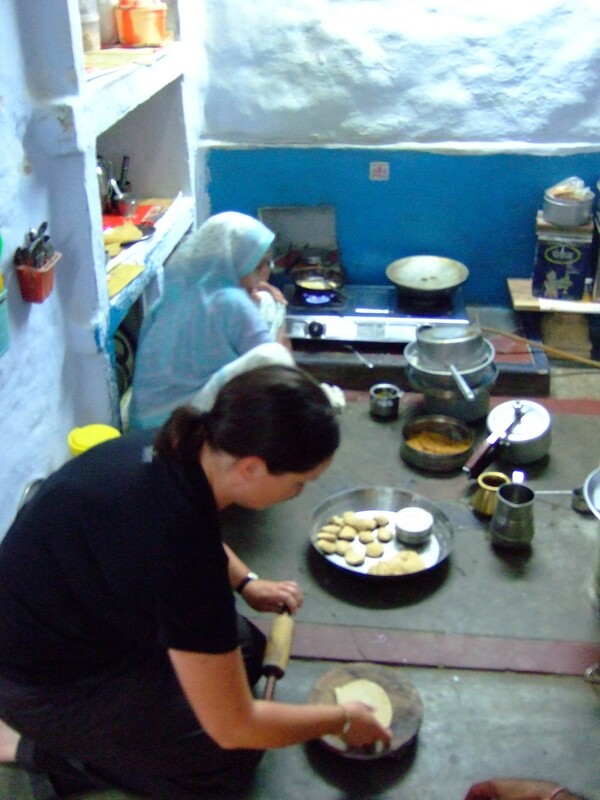 It is a tiny little backstreet house where we went to experience a home-cooked meal, in local surroundings. 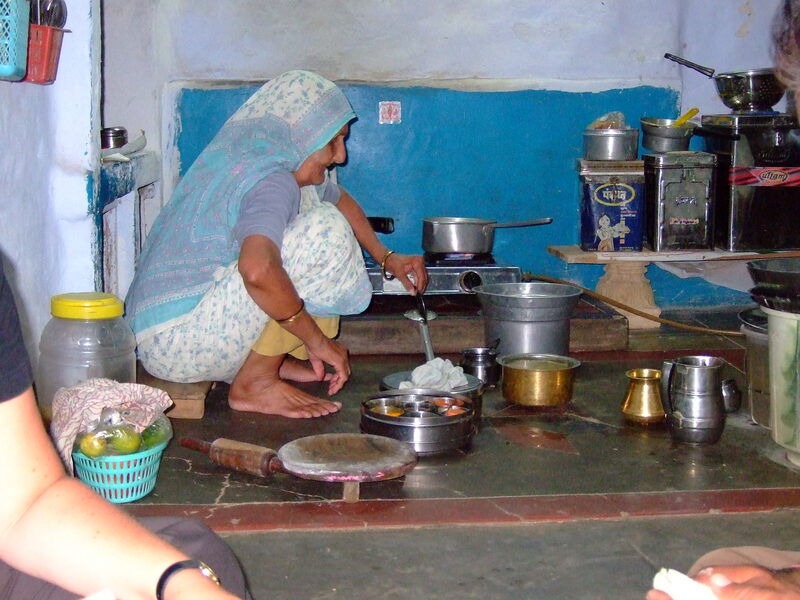 After climbing the steep stairs you arrive in an immaculately clean one-roomed house, where Vya is waiting to invite you into her home to make a Rajisthani thali or meal made up of many dishes. 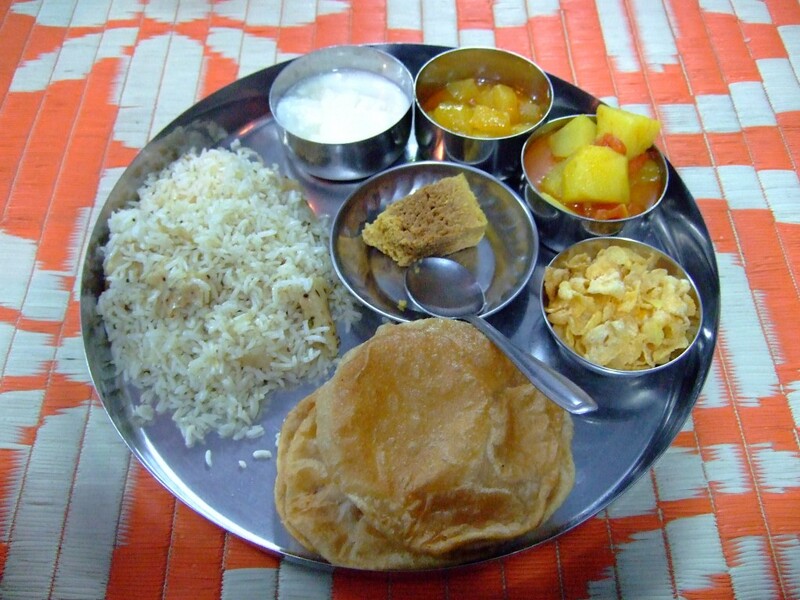 A thali can include rice, dal, vegetables, chutneys, roti, papad, yoghurt and sometimes something sweet. While you come to Vya’s to experience the food, you also get to be hands on and help prepare the meal. Vya didn’t actually know how old she is, and she took over running her husband’s cooking business once he passed away. She must be very old but she manages to squat on her haunches with way more flexibility than I ever could. While Vya began preparing the meal, we were given potatoes to peel. There was no running water in her house, everything was in buckets. 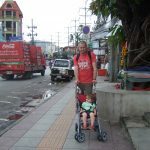 I couldn’t believe how clean and orderly it was, way better than most ‘Western’ kitchens I would say! Me and our guide Ashok peeling potatoes for the meal. Before long dinner was ready. A delicious plate of rice, yoghurt, potato curry, chutney and a couple of sweet dessert things – cake and cornflakes! 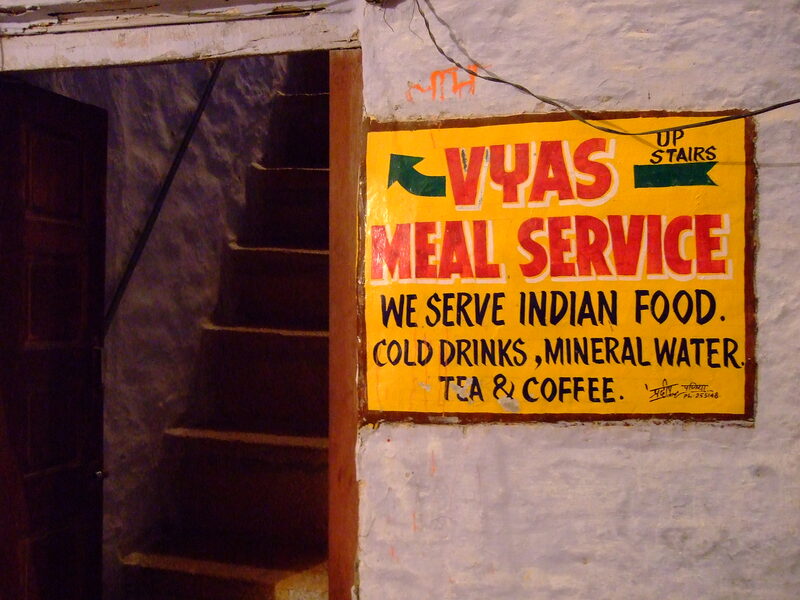 Dinner at Vya’s was a wonderful experience, and an opportunity to have a small glimpse inside a local’s home.